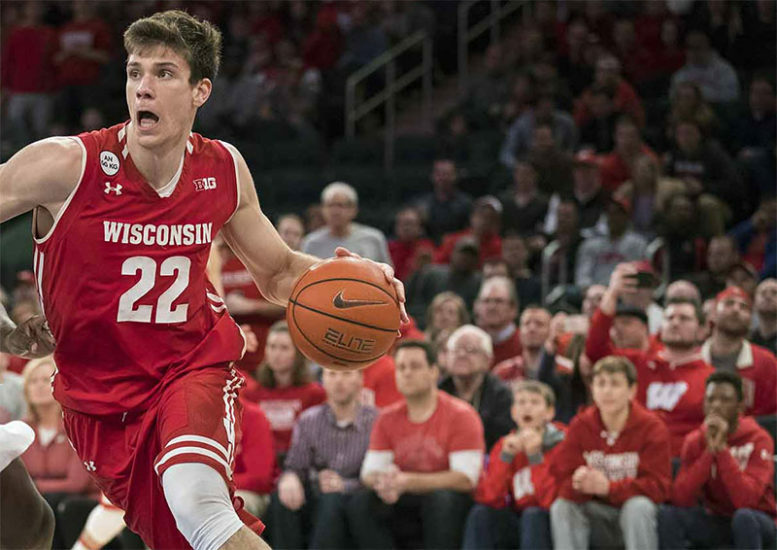 Madison, WI — Ethan Happ scored 26 points to lead Wisconsin to a 64-54 win over No. 2 Michigan, handing the Wolverines their first defeat of the season on Saturday. Happ, who shot 12 of 22 from the field, was impressive for Wisconsin on the day as he also grabbed 10 rebounds, dished out seven assists and had two steals in the win. The Badgers (12-6, 4-3 Big Ten) trailed by two points in a low-scoring first half, but managed to outscore the travelers 39-27 after the break to seal the win. Michigan led 43-40 with just over nine minutes left in the game, but Happ put Wisconsin ahead with a layup with 7:34 remaining and the home side fended off the challenge to end a two-game skid. Jon Teske led Michigan with 15 points, seven rebounds and four blocks. Jordan Poole had 14 points, while Zavier Simpson ended with 11 points, 10 rebounds and six assists for the Wolverines (17-1, 6-1), who had won 17 straight to start the season. They entered the game on the back of setting a school record for the best start to a season and tied the longest winning streak in program history. Meanwhile, Ignas Brazdeikis, who is averaging 15.6 points per game and leads Michigan in scoring this season, was held scoreless today after missing all five of his shots. The Wolverines were 5 for 18 from 3-point range and shot 40.7 percent from the field overall. Wisconsin shot 44.8 percent as a team in the win. The win today at the Kohl Center marked the first time the Badgers won against an AP Top-2 opponent at home since Feb. 12, 2011 when they beat then-No. 1 Ohio State.